Floral Maternity swimming costume, perfect for summer pregnancy. This Maternity Swimming Costume is manufactured in an imported two way stretch lycra. 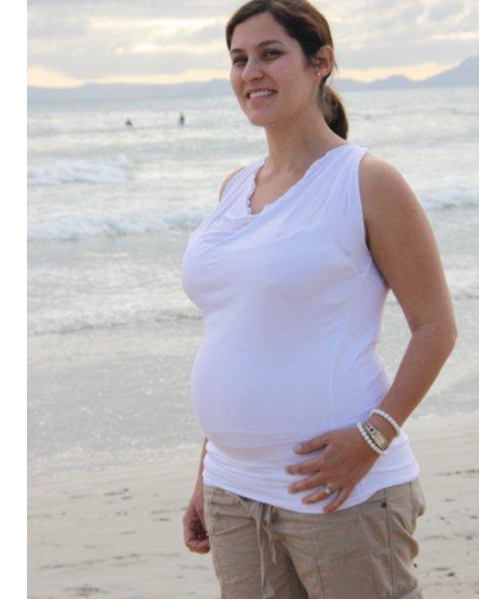 Your maternity costume gives you the opportunity to lounge at the pool or on the beach with everyone else. Can also be used at the gym as a maternity leotard, helping you keep fit while looking good. Three colour ways for all tastes. Medium & X-Large temporarily out of stock, sorry! Click here to request a note when stock is available. Looking for a beach and pool cover up? See our unique “6 in 1” skirt top here. Our Floral Maternity swimming costume is a simple and flattering one piece. Designed to flatter your growing pregnancy bump. The gathers on the side gently open to fit you from a teeny bump to full term, comfortably! We’ve added hidden bust support too, for superb supportive comfort. Once baby arrives the gathers help to camouflage your post pregnancy belly. A win win for you.